For years I’ve heard references to the retail world with the insinuation that best practices in customer service were applicable to donor stewardship. Surely a few are, like acting with integrity, timeliness and respect. But a key truism – that the customer paid for a product or service while the donor GAVE without any specific promise in return remains an issue that needs to be addressed. I remain convinced that ours is a more complex relationship than that, and one unique to philanthropy. Non-profit organizations need to foster attraction and commitment in their prospective donors. One sure way to do that is to say “thank you” in a compelling fashion. In recent months, for-profit companies are turning the tables and studying our methods! 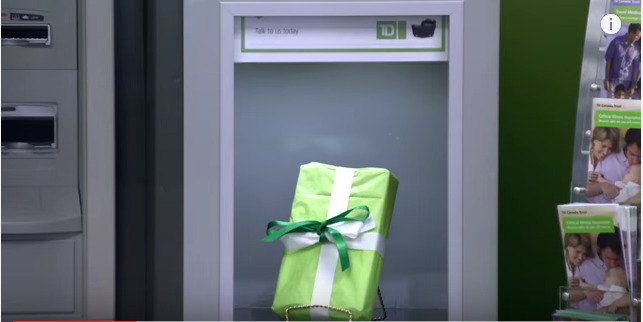 I encourage you to watch the video linked below of a TD Bank “thank you” event. As you do, think about how very little it cost to carry this out, and how much good will was gained from it. This happened because one branch took the time to build real, personal relationships. Isn’t that what we are all about?